On January 29, Iran test launched a medium-range ballistic missile. U.S. defense officials said the test seemed to be a failure because the missile crashed or exploded after flying more than 500 miles. The United States called for an emergency U.N. Security Council meeting, which was held on January 31, to discuss the matter. 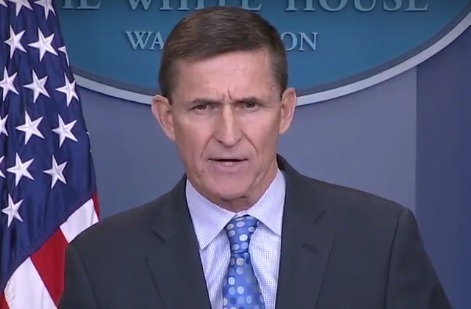 On February 1, National Security Advisor Michael Flynn officially put the Islamic Republic “on notice.” President Trump echoed Flynn's remarks in tweets. On February 3, the U.S. Treasury announced new sanctions on 13 individuals and 12 entities for contributing to proliferation of weapons of mass destruction or for links to terrorism. The following is Flynn's statement with reactions by other U.S. and Western leaders. “Recent Iranian actions, including a provocative ballistic missile launch and an attack against a Saudi naval vessel conducted by Iran-supported Houthi militants, underscore what should have been clear to the international community all along about Iran’s destabilizing behavior across the Middle East. *As part of the nuclear deal, Iran received access to some $56 billion of its own money that had been frozen, according to then-Treasury Secretary Jack Lew. Others have estimated Iran gained access to about $100 billion. The United States, however, did not give Iran $150 billion. "I will tell the people across the world that is something you should be alarmed about," Haley told reporters after the Security Council's consultations on Iran. "The United States is not naïve. We are not going to stand by. You will see us call them out as we said we would and you are also going to see us act accordingly." "France has expressed its concern at Iran's continuation of its ballistic missile tests on several occasions,"
"We harbour real concerns about the US administration's attitude towards this agreement." She called for Iran to “refrain from activities which deepen mistrust" and said the test was “inconsistent” with the U.N. resolution. "Such actions, if they took place, do not breach the resolution,"
Demands for UN talks were "heating up the situation." The reports of the test “give reasons for serious concern” and are incompatible with resolution 2231. "I know that this bothers not only Israel, and not only the US but other countries in the region. Iran's aggression should not be ignored."